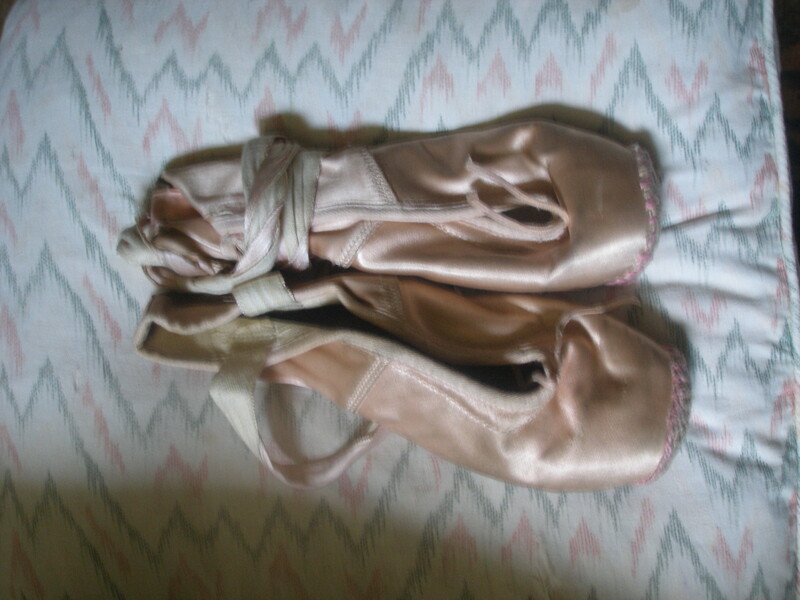 My last pair of ballet shoes. I was a professional ballet dancer for my whole career, I stopped dancing about 35 years ago. My last dance was the lead role in Metamorphoses, it was for a competition and we won. I carried these around in the same little bag my mother had embroidered for me when I first started with an elastic N for Nina.